Now that you have the basics, let’s dive into a few specifics. With all fermented veggies like sauerkraut, pickles, kimchi etc…you want to avoid the word “pickled”. Pickled foods are just veggies stored in vinegar so no fermentation has occurred so no probiotics have been created. When looking for the full benefit of probiotics, steer clear from “pasteurization” if possible. Pasteurization is a heating process that kills the good bacteria. Brings me to the next point: look for the words “live” and “active” cultures or something similar. *These products will all be found in the refrigerator section. I love adding raw sauerkraut to my salads as a tart, crunchy topper or mixed throughout for the probiotic benefits and a good flavour booster. I mean, that’s why we add vinegar to our vinaigrettes after all…so, you can’t go wrong with a the tangy zip of sauerkraut on a salad. Like this Protein Packed Salad with Sauerkraut. 2. What’s the difference between fermented dills and “regular” dill pickles? To my above point, when you get regular pickles they are just cucumbers steeped in vinegar. Totally delicious, but absent from good bacteria. Fermented pickles are stored in brine (salt water) and make their own acidic liquid through the fermentation process to get that tangy zip. 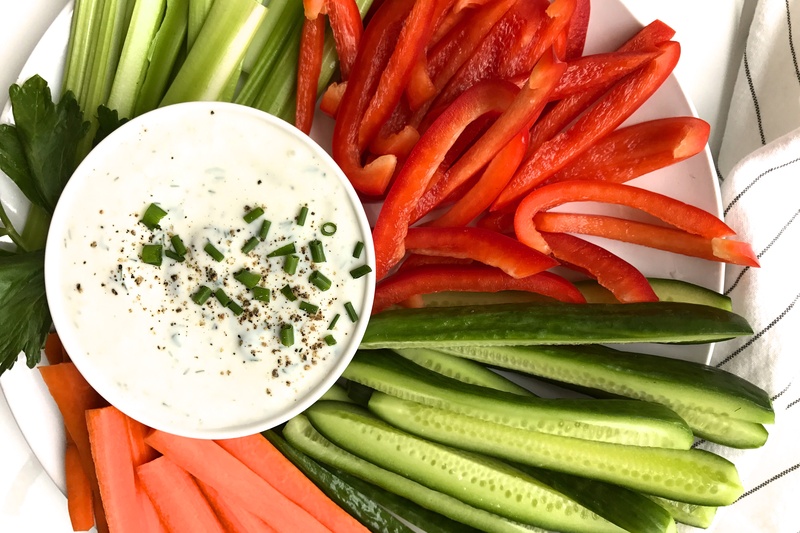 You won’t be getting any beneficial bacteria with commercially pickled veggies. 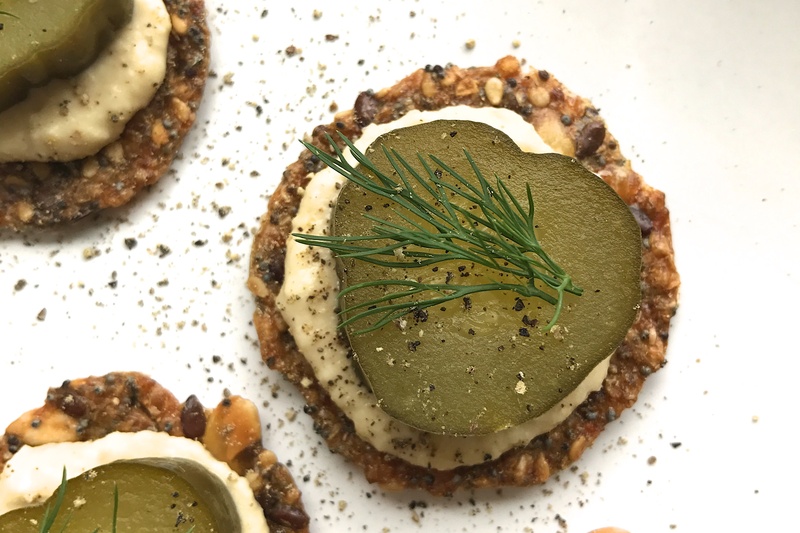 Why not try these Easy Dill Pickle and Hummus Bites made with fermented dillies? 3. What is Kefir? Is it better than yogurt? Kefir is like a liquid/drinkable yogurt that can be made from cow, goat or sheep milk or coconut milk. If you do dairy, good quality, organic yogurt with living cultures is great. Compared to yogurt, kefir (pronounced Kuh-FEAR) has MANY more probiotics and much more diverse strains making it a superior probiotic food. Both kefir and yogurt are easier to digest for many with milk sensitivities since the bacteria “eat up” all the milk sugars (lactose) and can help reduce symptoms for people who are lactose intolerant. Also, the beneficial bacteria partially digest the milk proteins like casein and whey which also makes these fermented products easier to digest than regular dairy. Plus, fermentation makes all the minerals, vitamins and fatty acids found in diary much more bioavailable (meaning available for your body to utilize). You can use kefir on your cereal, in your smoothies or make it into a salad dressing or dip, like I’ve done with my Kefir Ranch Dip. 4. What is Kimchi? Where can I get it? Kimchi is similar to other fermented veggies like sauerkraut, but has a spicy, Korean flare and extra yummy stuff. It’s usually made with nappa cabbage, radishes, garlic, ginger, onions, and chilies. There are a lot of different combinations and recipes out there. 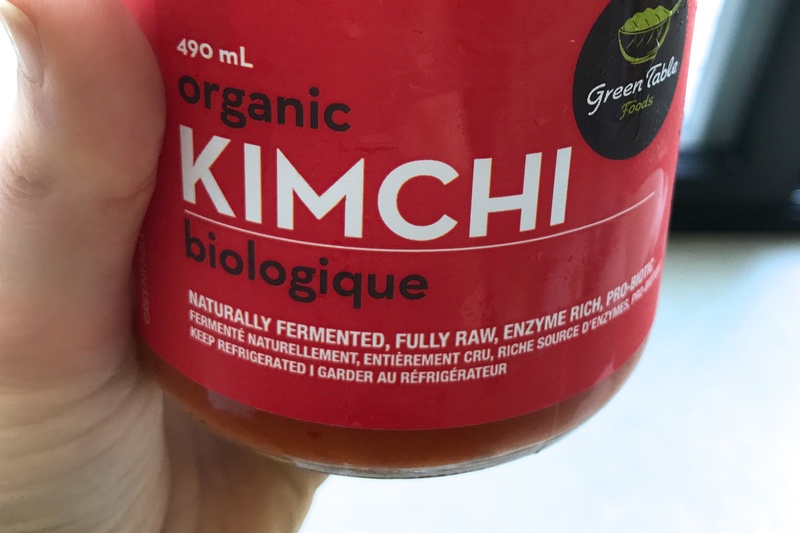 Most health food stores carry kimchi along with the rest of their fermented veggies. Give one a whirl! Why not try adding kimchi to a Summer Rice Roll? 5. What is Miso made of? Miso is made from pureed, fermented beans…mostly soybeans, but you can get some miso made with chickpeas, barley and even rice. Miso is a traditional, Japanese seasoning. 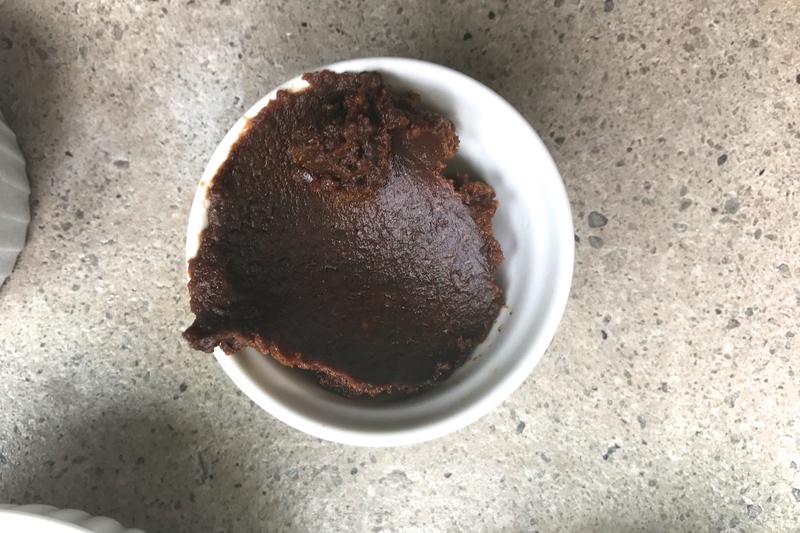 It’s a thick, salty, paste full of umami, and is used to flavor everything from soups to marinades and salad dressings. 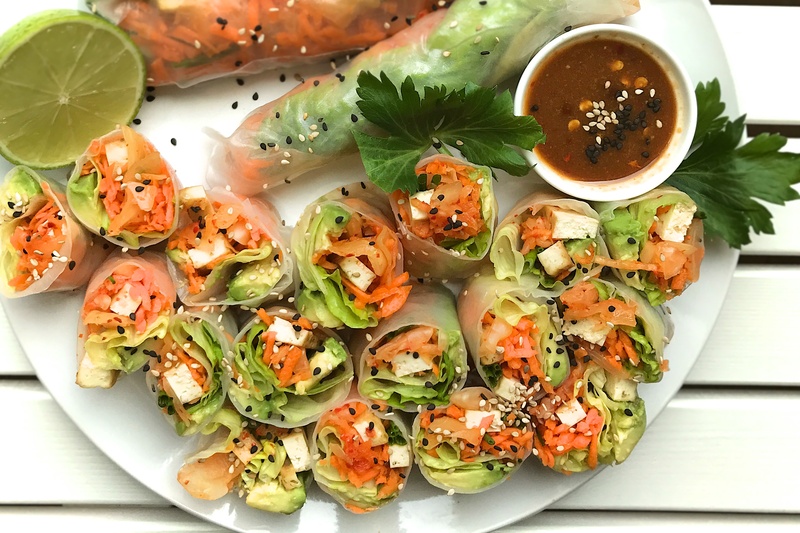 You probably most associate it with miso soup, but if you’re looking for the full probiotic benefit, try adding it to cold foods like the miso sesame sauce that goes with my Kimchi Summer Rice Rolls? Tempeh is a a firm block of fermented, whole soybeans (though it can be made from other legumes too like chickpeas and black beans!). This is a minimally processed food made from cooked beans that have been fermented and formed into a firm cake/block. Tempeh has a savoury, nutty flavour and is much heartier and denser than tofu (which is made from curdled soy milk). Always looked for organic soy as it is one of the most widely genetically modified crops in the word. A sweet, fizzy drink made from fermented tea and sugar. Bacteria and yeast (collectively called a “SCOBY”: symbotic colony of bacteria and yeast) are added to the tea-sugar mixture and “eat up” all the sugar and covert it to acid (vinegar), probiotics and beneficial enzymes. When the bacteria metabolize the sugars, they create gas and that’s where kombucha gets its signature effervescent bubbles. 8. 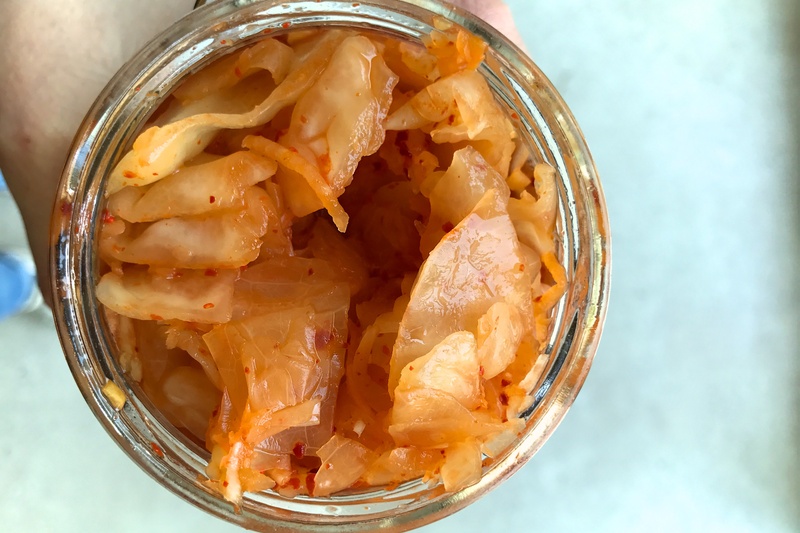 Can I heat fermented foods? It’s fine to stir sauerkraut into a warm bowl of soup or sprinkle on the top of your meal, but if you’re looking for the full benefit of living probiotics, you won’t want to cook or bake with it because the heat will inactivate those good guys. 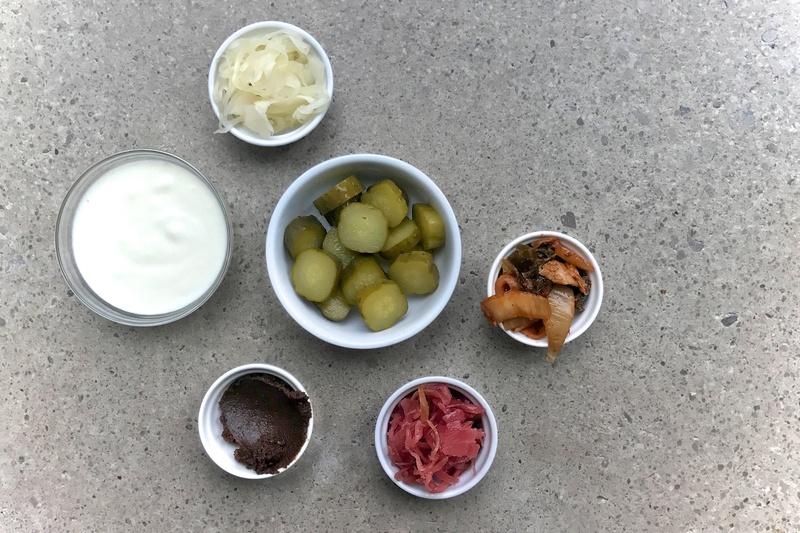 But, even heated, fermented foods are still very healthy because all the nutrients are unlocked so they’re (higher in nutrients) and easy to digest. 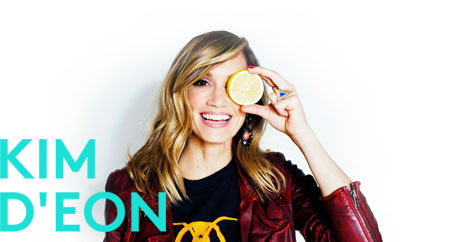 Are you as pumped about probiotics as I am now? Fermented foods are just one staple food in my kitchen. 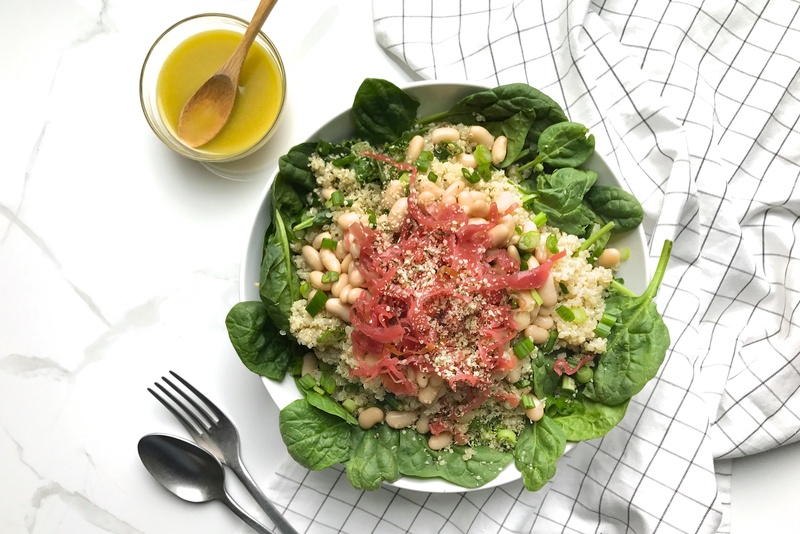 If you want to learn even more about how you can create your own real food kitchen and reclaim your health for good, check out my ebook Fresh Start Kitchen by clicking the picture below!